But Netflix’s deal is just the latest effort from a streaming company to develop big-budget fantasy titles. Netflix said that it will develop the titles under a new multi-year deal between Netflix and The C.S. Lewis Company, marking the first time that a company has held the rights to all seven books. Disney released three movies based on the books in 2005, 2008, and 2010. The first, “The Lion, the Witch, and the Wardrobe” made $US745 million worldwide. The second, “Prince Caspian,” grossed $US419 million worldwide. And the third, “The Voyage of the Dawn Treader,” made $US415 million, according to figures from Box Office Mojo. After the first movie, Disney’s adaptations wavered at the box office. 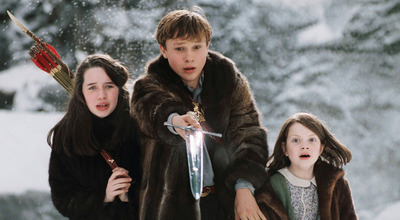 A fourth film, “The Silver Chair,” which director Joe Johnston (“Captain America: The First Avenger”) was attached to direct, never saw the light of day.